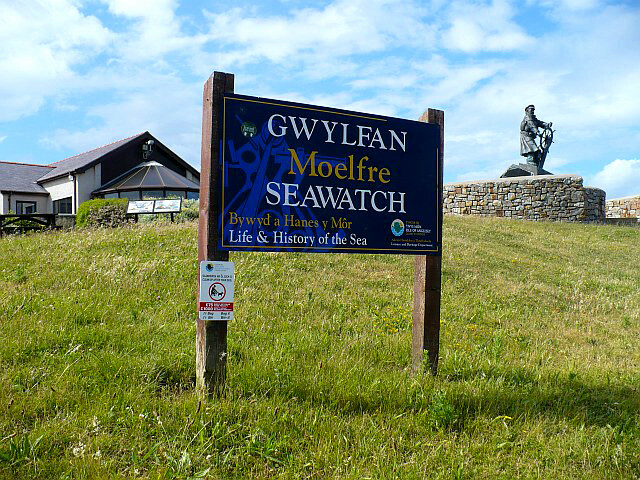 The Seawatch Centre is in the small picturesque harbour village of Moelfre, and is a reminder of the island's maritime history. It sits on the hillside above the Anglesey Coastal Path. At the centre of the museum is the modern unsinkable lifeboat which has saved more than 100 lives since it came into operation. You can climb aboard the 20th century lifeboat and test the controls. There is also an exhibition where you can learn about the local lifeboat crews and in particular the bravery of Coxswain Richard (Dic) Evans who was a member of the lifeboat crew for 50 years and was awarded two gold medals for saving the lives of the crews of two ships. You can also watch a small screen audio-visual about the maritime wildlife to be found around the coastline, as well as details on several ships that have been wrecked in the area. 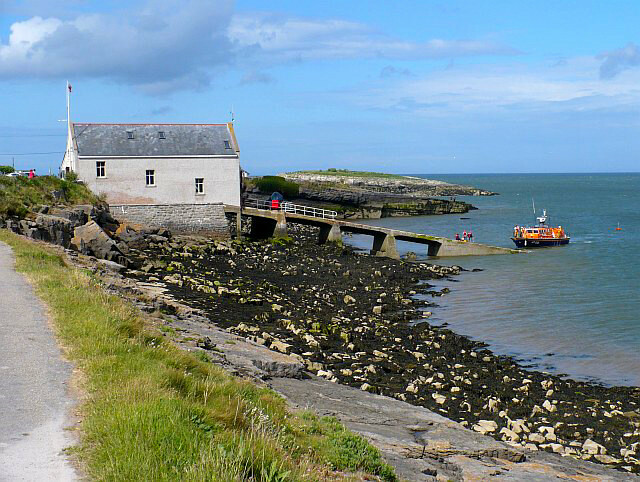 If you walk 200 yards along the Anglesey Coastal Path, then in Summer you can enjoy a tour of the present lifeboat station. There has been a lifeboat in Moelfre since 1830, and lifeboats launched down it's slipway since 1893. A new boathouse and slipway were constructed in 1909, the boathouse is still in use, but in 1987 the slipway, etc was adapted to accommodate the present all weather Tyne Class lifeboat that operates all year round. Of the countless shipwrecks that lie beneath the sea around the Anglesey coastline, the most dramatic of these took place over 150 years ago in 1859, when The Royal Charter, a luxurious, fast moving steam and sail clipper, sank off the coast of Anglesey during one of the fiercest storms of the century a 104mph hurricane. With a crew of 112, and some other company employees, and 371 passengers, she set out from Hobson’s Bay in Australia. On board she also had sheepskins, wool and a cargo of gold. She was on her way to Liverpool, when she was confronted by the worst storm ever recorded in British waters, just off Anglesey. Her anchors were lowered, but they snapped. Her masts were cut down, but it made little difference. In a short time, the ship’s bottom was dragging along the gravel floor towards the coastal rocks. Joseph Rogers (Joie Rodriguez), a Maltese seaman, volunteered to jump into the ferocious sea to set up a bosun’s chair to link up with a human chain of 29 local people from Moelfre, to try to save those on board, and despite their efforts only 21 passengers and 18 crew members survived, 459 people, including all the women and children, did not make it. It is said many of them were killed by being dashed against the rocks by the waves, although others are said to have drowned because of the weight of the gold in their belts. Many of those who drowned, mostly unidentified, are buried in local churches, including St Gallgo’s Church, Llanallgo near Moelfre. Rogers was awarded the RNLI’s Gold medal for his bravery. The men who attempted the rescue became known locally as the Moelfre 29’. In 1959, 100 years and a day after The Royal Charter disaster, another ship, The Hindlea, sank off the coast of Anglesey. This time under Dic Evans' leadership the Moelfre Lifeboat pulled off one of the most astonishing rescues and this time its crew of 8 were saved. The anchor of The Hindlea can be seen in the village and outside the museum is a life-size bronze sculpture of Richard (Dic) Evans. In his Sou’ Wester he is eternally leaning into wind and storm, steering his lifeboat to some unfortunate soul’s rescue. Getting there: Follow the A5108 into Moelfre and to its conclusion, just before it end the road turns left, at this point straight ahead you will see the Seawatch Centre at the end of the road with the sea behind. Access: From car park on flat surface, from Anglesey Coastal Path up some steps. Opening Times: Easter-Sept, Tue-Sat and Bank Holiday Monday 11am-5pm, Sun 1pm-5pm. Charges: Free although donation to RNLA appreciated.